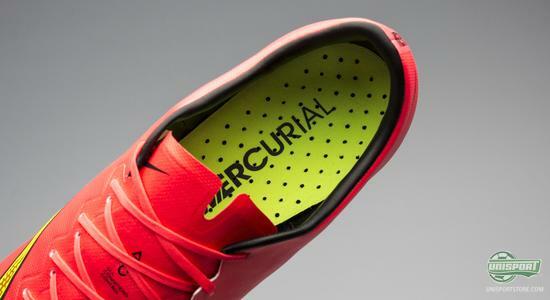 We have already seen Nike launch the Mercurial Superfly and now they have unveiled the tenth generation of the Mercurial Vapor. It’s called the Vapor X and you can get to know the new boot here. It has finally arrived! 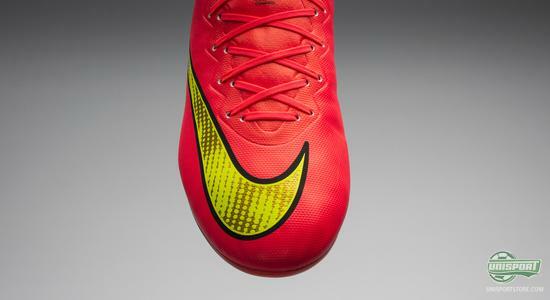 – The new Nike Mercurial Vapor X, which completes the World Cup-collection from Nike. Together with the Mercurial Superfly it makes up the top of the Mercurial-series and is the tenth generation of the iconic Vapor. 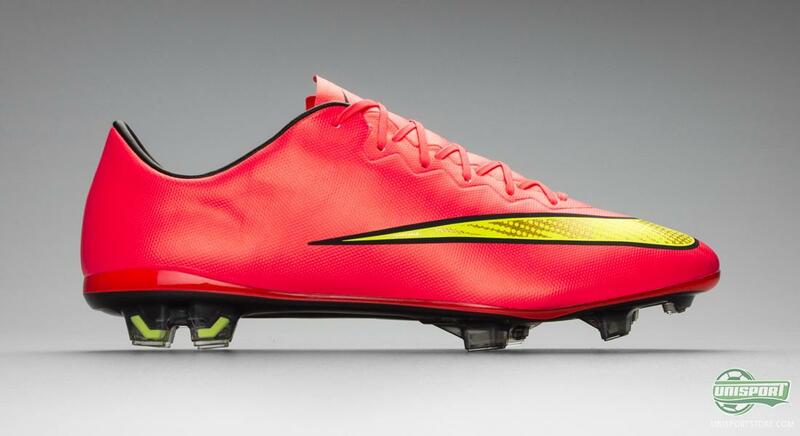 But Unisport, isn’t the Vapor X just a downgrade from the Superfly? 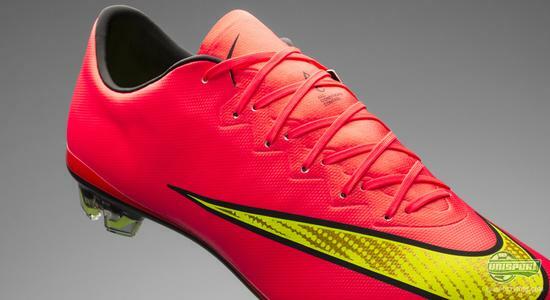 Not at all, no – the Vapor X is a top model football boot in its own right and is jammed with modern technology. And OK, the Vapor X doesn’t have an upper made from Flyknit and doesn’t have the Dynamic Fit Collar, but there have been plenty of massive enhancements on the boot, when compared to the Vapor IX. One area, where Nike haven’t changed anything is the upper material. It is still the brilliant Teijin OLM12-material, which is a soft and supple synthetic material that is just 1.2 mm thick and sits tightly around your foot. You can pre-order the new Nike Mercurial Vapor X right here – just 190 Euro. Vapor X is about pure speed, both with and without the ball. Therefore Nike have kept the slightly textured surface on the Vapor X, which is now called Micro SpeedControl. The texture has been changed slightly, so it is now small, sticky stripes on the upper that help improve your grip on the ball. Alright, it won’t automatically turn you into Ronaldo, but it gives you more control on the ball, when running at full throttle. The Vapor X also has All Conditions Control, which means you get the same consistent grip on the ball, regardless of weather. ACC is a technology that is incorporated into the upper during production, making sure water and dirt almost glides off. 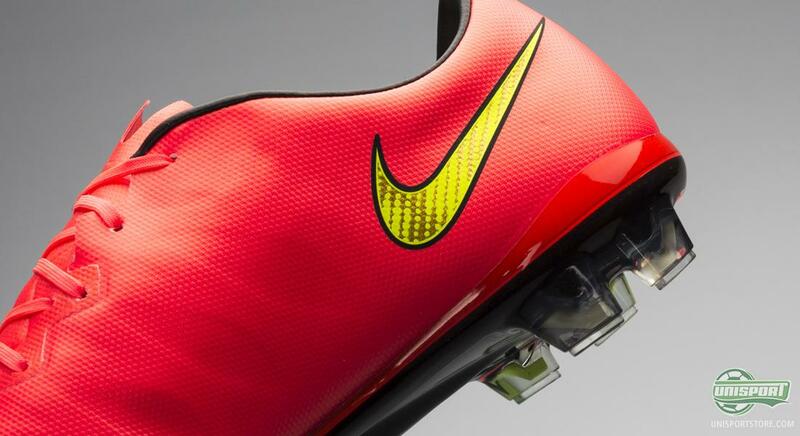 The Mercurial Vapor X doesn’t have a Dynamic Fit Collar, but Nike have still worked to eliminate distractions from the Vapor X. Therefore the boots tongue has been removed from the boot, so the upper is one single piece, thus making the fit closer and better. When we say close fit, we mean it, but don’t worry, there is still a little flap, so putting the boot on isn’t an annoyance. Vapor-fan? 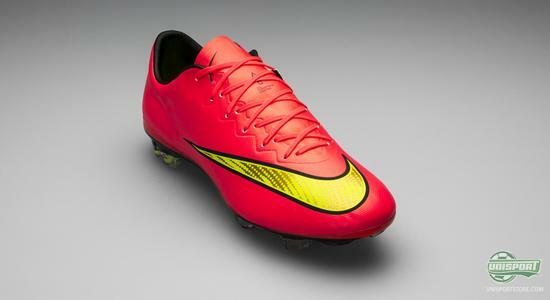 Pre-order the Nike Mercurial Vapor X boot here – just 190 Euro. 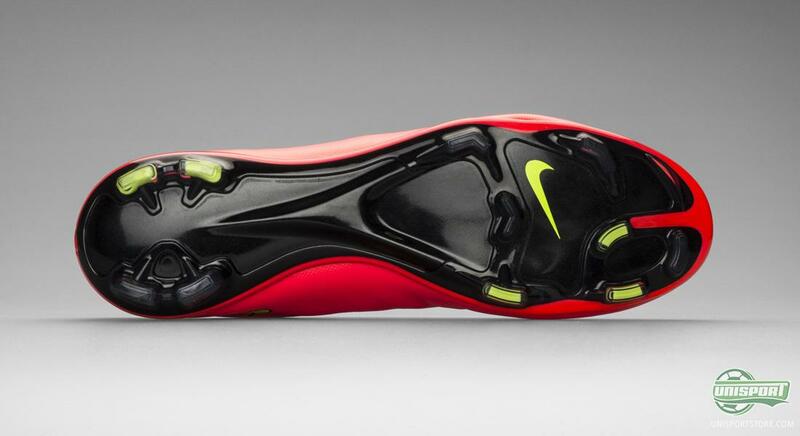 On the medial side of the Vapor X, Nike have continued the idea of a boot, which has a “skeleton.” It is a series of synthetic strips and this allows the American brand to keep the OLM12 upper as thin as possible. At the same time the strips work to keep the fit close to your foot, so the Vapor X reacts to every movement your foot makes. They keep coming, the new technologies. 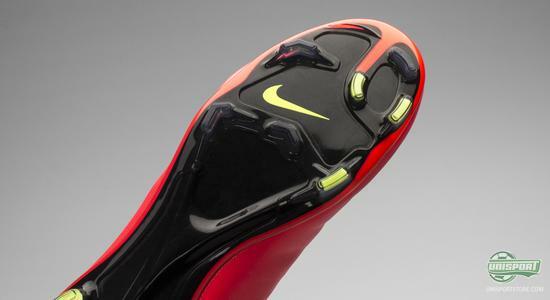 Beneath the new boot, Nike have also brought several new additions – like the stud-configuration. It is exactly the same as on the Nike Mercurial Superfly, where there is, like on the older Mercurial boots, four studs under the heel again. Nike received plenty of player feedback from their athletes, who wanted more stability, which sparked the return of the four studs on the back. The sole itself has also been changed and the Vapor X is now made with a nylon material, which is both light, strong and very responsive. This responsiveness makes it very springy, which is great for when you accelerate and need to outpace your direct opponent, with the quick flick you get, when the boot stretches out after having being bent. In other words it feels like the boot shoots you out of a cannon, when setting of in an explosive sprint. The Vapor X has been given a major overhaul and the tenth generation really shows how Nike have taken all their insight gathered from previous models and feedback from their big stars. It is still lightweight, and comes in at 191 grams. 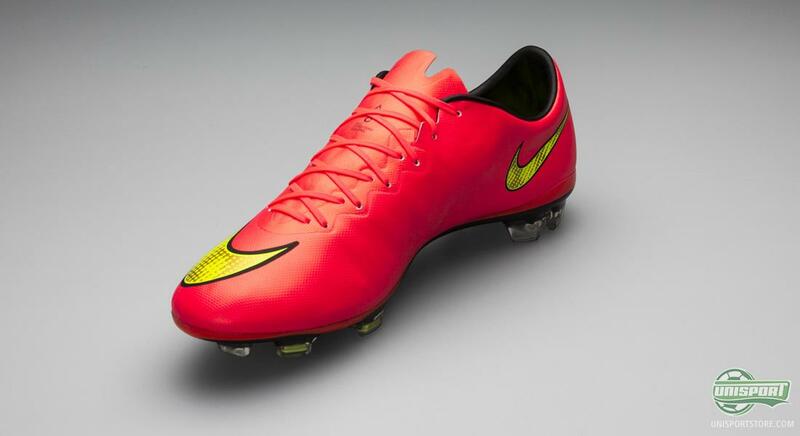 The numerous improvements on the Vapor X also shows how Nike are still putting very much effort into the Vapor and work hard to keep it in the top of the speed boot market. Therefore, the Vapor X does not need to be overshadowed by the Superfly, but should be seen as an alternative to those who are not looking for the Flyknit and Dynamic Fit Collar, but are still into the snug fit with the springy sole, tailored for speed. Among this crowd we seem to find Zlatan Ibrahimovic, who has been seen training in the Vapor X with PSG, and hereby looks to stick to the Mercurial Vapor series, as he has been true to for quite a while. 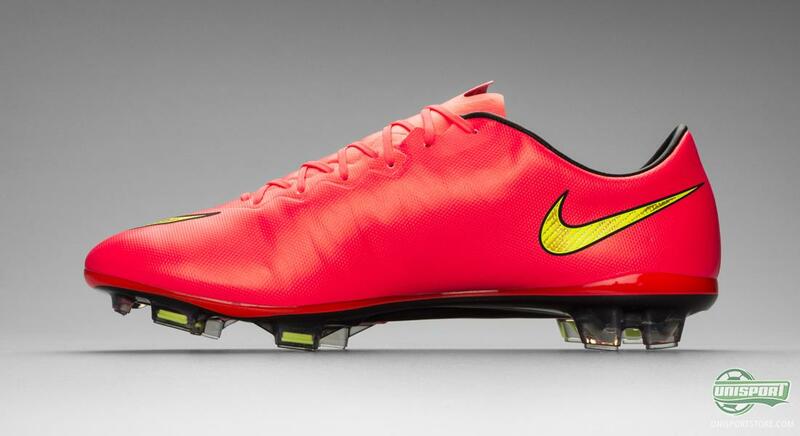 In other words, there is not doubt that the Vapor X is still very much in business. 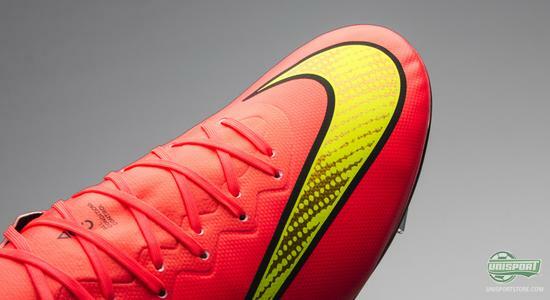 What do you think of the new Nike Mercurial Vapor X, which is the tenth generation of Nike's iconic Vapor series – and is the light speed boot to your liking? Take your football passion to a social level and share your thoughts on Facebook, Twitter and Instagram.